No, we don’t sell food and we’re not a run-of-the-mill menu company. My25 and EatUp! are content-based resources focusing on the key driver behind preventive health for individual and household health—eating the right foods in the right amounts—via a user experience that is holistic, personalized and interactive. Organizations subscribe to Mainstay products for their customers, patients, members, and employees to realize multiple upsides. A downstream solution with upstream benefit. Included each week is a toolkit containing menus, recipes, and grocery shopping lists. To ensure that meals are personalized and easy to prepare—containing appropriate, appealing, and tasty ingredients—we gather and combine brief profile information from individuals and household members. We address these needs, no matter how complicated, such as for food preferences, overweight/underweight status, cardiac issues, diabetes, GERD, lactose intolerance, gluten free, allergies, dysphagia, and more. Interaction and personalization are ongoing, menus are perpetually refreshed, and we scaffold with robust engagement and education. A direct link between our menus and major online grocers with curbside pick-up and delivery saves time and allows purchases to stay within healthy and budget lines. 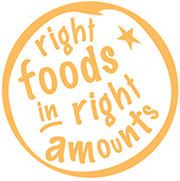 We consistently demonstrate that nutritious food doesn’t have to cost more; households typically see a 10 to 20% reduction in grocery expense. Both My25 and EatUp! are web-based, mobile optimized, and exceedingly user-friendly applications. Additional integration requested by some of our organizational subscribers for inclusion on their internal platforms is simple and secure. See below for deep-dive insight regarding each of My25 and EatUp!. My25’s toolkit of personalized content addresses needs in wavier and ICF settings supported by human services organizations intent on hard driving a number of critical outcomes simultaneously, including: elevated person-centered choice and clinical & social determinants of health improvement; streamlining/foolproofing mealtime for DSPs/house managers; and reducing food, labor, PRN, prescription medication, and acute care expense. 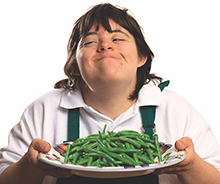 Our experienced and proactive My25 Support team routinely reaches out to staff to address menu changes based on food likes/dislikes for each person in each individual setting, gauge health status, answer questions, make recommendations, and energize. Watch a brief My25 overview video here or download the PDF PowerPoint version here. Read stories leading providers share about their My25 experiences & outcomes here. Click for answers to what we always get asked. When Jim Vail, Mainstay's CEO, was Executive Director of a provider supporting people with IDD, he conceived of My25. Within just a few years of Jim’s leadership and My25's positive impact on the organization's 4th highest expense category (food! ), foolproofing staff efforts at mealtime, and the improving health of people supported, the company received one of the industry's first-ever, coveted, 4-year CQL accreditations—placing it within the top one percent of social services organizations worldwide. This led to a partnership with the USDA, collaboration with professionals from the Feinberg School of Medicine at Northwestern University, and ultimate commercialization as Mainstay, Inc. across the nation’s most respected and largest for-profit and nonprofit human services providers in 30 states. Jim spearheads Mainstay’s efforts within human services and facilitation of the above-noted outcomes that are highly synergistic with licensor, value-based, and managed care expectations. Read Jim’s brief white paper about the future of human services organizations here and our co-founder’s white paper about the roadblock to elevating social determinants of health here. Watch a brief EatUp! overview here. And watch the EatUp! Portal in action here. Choose and click below to read how EatUp! specifically benefits your organization/industry.